Your tailor-made estate plan requires knowledge, insight, creativity and understanding. 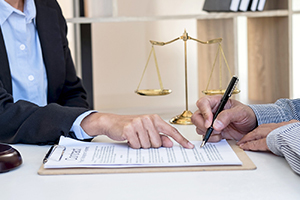 Our attorneys possess the skills to develop and implement a personalized plan that meets your specific needs and requirements. The skilled attorneys of Gruber, Thomas & Co. can effectively represent you through the litigation process. Our clients benefit from our knowledge and talents to arrive at the best possible outcome. Our goal is to avoid going to court but when necessary, we have the right people in place to resolve your matter in any situation.